The all-new Buick Envision, offered in St. Clairsville, OH, is a compact crossover for those looking for style and comfort. Its meticulous design is a symbol of strength, stiffness, and quietness. The new Buick Envision, featured in St. Clairsville, OH, offers a flowing and inviting interior that complements the detailed surface features. With more cargo space than others in the market, you can carry anything and everything while on a trip. It combines beauty with innovation. The new Buick Envision, offered in St. Clairsville, OH, has an innovative technology that is designed for intuitive, effortless functionality. Its robust structure is the foundation for a balanced and confident driving. Designed to make most of its handling and stability while driving in all conditions, it does not fail to offer a smooth ride. With standard safety features, you can drive with a peace of mind. 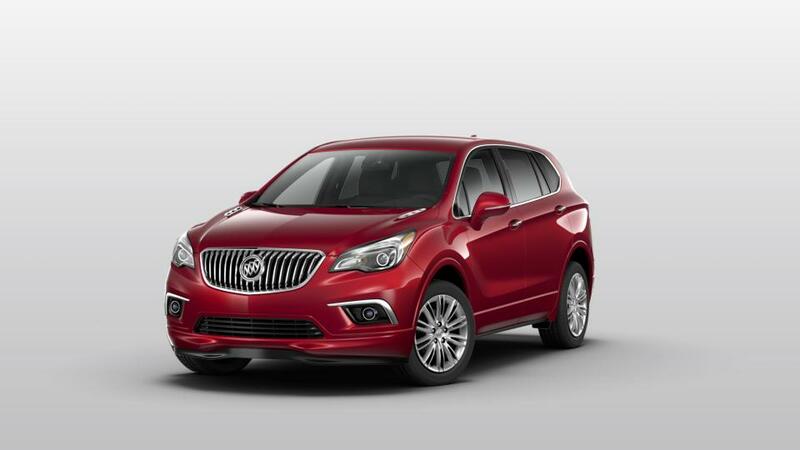 Test-drive the new Buick Envision in St. Clairsville, OH today! We have a vast inventory of this model and other latest vehicles. Drop by right away!